Our December speaker will be Dr. Jim Snyder, the Director of the NW Education Cluster and will be discussing the emerging market in Oregon of Traded-Sector Education. The NW Education Cluster is a collection of more than three dozen Portland area companies who meet regularly, network to learn about each other's businesses, discover synergies, and explore the potential of the education/training industry as an economic driver for Portland and its metro area. Our speaker, Dr. Jim Snyder spent the last 16 years in the education field as a marketer and researcher working with educators around the world. He has presented at conferences throughout the world (EARCOS, CEESA, NESA, WAFLT, ACTFL, Fusion, and AAIE, Quality Matters) speaking on how growth measures, longitudinal data, assessments and online course design can support educators. He spent 8 years with the Northwest Evaluation Association (NWEA) focused on competency-based assessment for core content areas. Dr. Snyder then joined Avant Assessment in April 2011 to augment their adaptive, competency –based expertise as applied to a wider variety of assessments. In August 2013, he joined Quality Matters working to market quality assurance in online course design to Higher Ed and K12 institutions. His focus is on expand Quality Matters presence in K-16 education space. He has a BA in physics and mathematics from Kenyon College, an MS in Physics from the University of Oklahoma and an MBA from Portland State University. He earned an Ed.D. 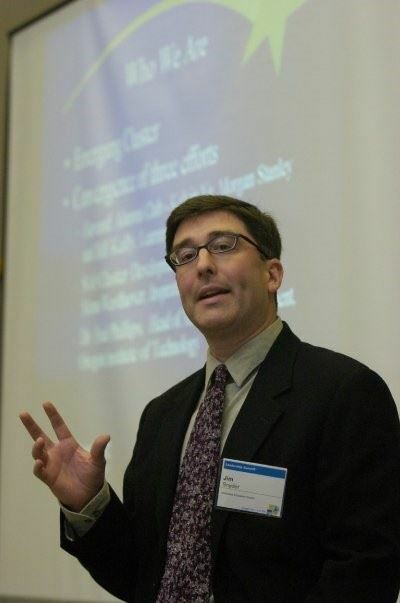 in 2010 from George Fox University and his dissertation was on the use of audio in computerized adaptive assessments.